The National Football League's granddaddy of them all is this weekend, pitting the high-powered offense of the New England Patriots against the equally prolific Los Angeles Rams for the Vince Lombardi trophy. Both teams will need to bring their respective A games for the big game, and the same can be said for fast food and quick serve restaurants, as the first Sunday in February is traditionally one of the busiest days in the entire year for takeout. The speed with which requests for pizza, subs, wings and burgers are phoned in demands a smooth and well-stocked supply chain. But this year, America's oldest pizza franchise is raising the stakes, as the parents of the first baby born after the 6:30 kickoff will score two tickets to next year's big game - and free pizza for a full year. "Parents must snap a picture of their bundle of joy on game day to be eligible." 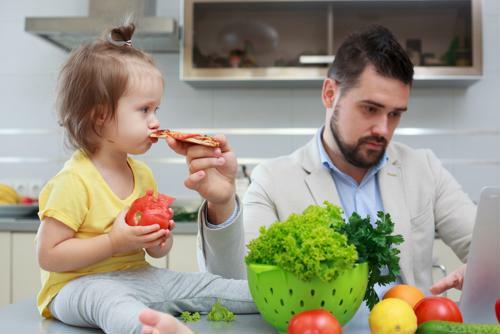 Marianne Radley, chief brand officer for the Witchita, Kansas-founded pizza chain, said she couldn't be more excited for this campaign, nor more honored to be able to supply parents with a year's worth of free pizza. "If there's one thing we're more passionate about than pizza and football, it's the family we get to enjoy it with," Radley explained. "Family celebrations and Pizza Hut have gone hand in hand for more than 60 years, so in our first year as the Official Pizza Sponsor at Super Bowl LIII, we wanted to show up for our fans who are in the unique position of expanding their family during the biggest NFL game of the year." Radley added that as a parent of four kids herself, she and her spouse wouldn't think twice about taking a restaurant up on this opportunity, especially if the food was delivered piping hot to the hospital. Pizza Hut's Overdelivery campaign has been in place since the NFL's regular season began. In its bid to celebrate the game's diehard fans, the fast food franchise has offered various incentives to customers. In addition to the aforementioned grand prize, Hut Rewards members who order pizza on Feb. 3 will get 20 percent off on merchandise purchased at NFLShop.com. 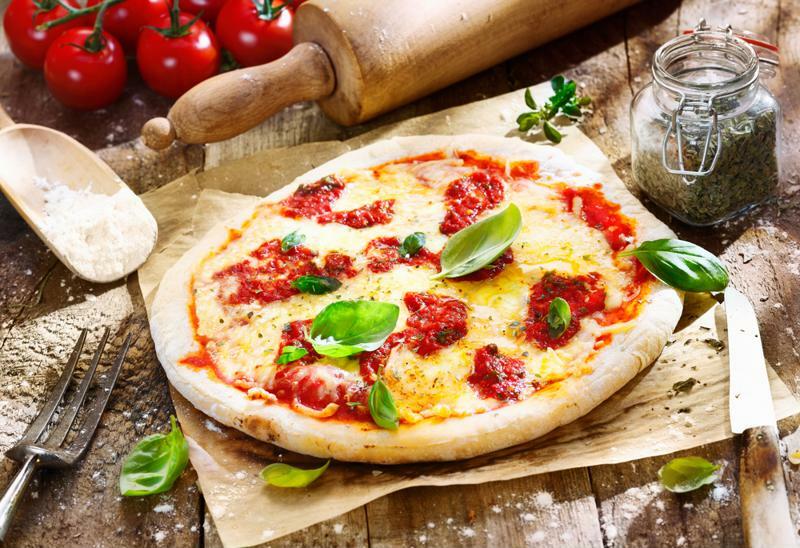 Pizza is one of the most beloved dishes in America, especially among football fans and foodies. With approximately 16,800 locations around the world, Pizza Hut is one of America's most storied and longest-running pizza franchises, with its first restaurant opening in 1958. But football and food fans have many more places to choose from to satisfy their hunger for melted cheese and sauce on Sunday, with over 76,700 pizzerias open and operating in the U.S. overall, according to estimates from PMQ Pizza Magazine. As during previous championship football Sundays, restaurants will need to stock up on the staples this weekend to satisfy patrons' healthy appetites and thirsts. As noted by Time magazine, restaurateurs can expect a combined 12.5 million orders for pizza and a whopping 325 million gallons of beer. Sports bars and eateries that serve chicken wings will need to have a robust supply chain as well this Sunday, as the National Chicken Council anticipates over 1.3 billion wings to be consumed during championship weekend. Broken down, that's the equivalent of four wings for every man, woman and child currently living in the U.S.
"Whether you're a fan of the left wing or the right wing, there's no debate – or controversial missed calls – about America's favorite Super Bowl food," said Tom Super, NCC spokesperson.